The proprietor of Mendocino Video, Nile Sprague, is also the primary cinematographer and director. He has a team of camera people, editors, still photographers and other professionals to support various projects. Nile grew up traveling with his father, professional photographer Sean Sprague, watching him capture the emotions of people during both crucial and daily events in their lives. A keen observer, Nile developed his own unique talents in people photography and the ability to chronicle in pictures the moods and moments of a lifetime such as the exceptional day of one’s wedding, marriage, or other celebration. Growing up on the Mendocino Coast Nile also understands the special lighting and locations of the area and how to capture them to the best advantage of his clients. Capturing imagery is both a lifestyle and a passion that comes naturally for him. Coupled with an amiable and non-intrusive nature, he is appreciated for bringing not only his talents but his easy-to-work-with manner. 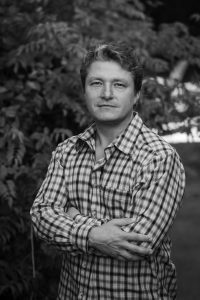 Currently involved in both cinematography and photography, he has travelled extensively throughout the developing world, working for a variety of non-profit development organizations as both a writer and photographer. In addition to weddings, his experience includes food, architecture, products, landscapes, flora and fauna, macro-photography, and people. Nile created a stunning wedding video for us. The footage is beautifully shot, capturing all the most important parts of the day, and the testimonials are great – it’s clear that Nile put our friends and family at ease. I can’t recommend Nile highly enough! Nile was exceptional. We used him for our wedding in Sebastopol. He showed up with an assistant and worked the crowd, capturing a lot of great video footage which he then put together into two wonderful videos — the first is a short which we have shared with all our family and friends who all felt like they were reliving the highlights. The second is a longer version. His communication after the event has also been great. He has worked with my wife on the final edits and has been very patient. Very fun working with him. And his prices were very, very reasonable by Sebastopol standards. Nile produced a beautiful wedding video for me in 2012. He was meticulous, stayed within budget, and integrated smoothly with our wedding celebration. He seamlessly filmed the wedding and reception, integrated wonderfully with our guests, and captured many great moments. I enjoyed working with Nile as a videographer and highly recommend his work. Nile Sprague is a professional videographer who has an eye for story and attention to detail in editing. He produced a video for an event and did a great job incorporating slides into the speakers’ comments. I highly recommend him to anyone who needs video help!